Here is my latest quilt creation I will call my St. Paddy’s Day Quilt. 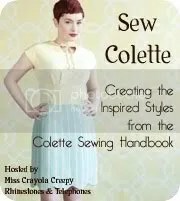 My fave fabric store Sew Modern had a sale on St. Patrick’s Day with all green fabric 20% off. 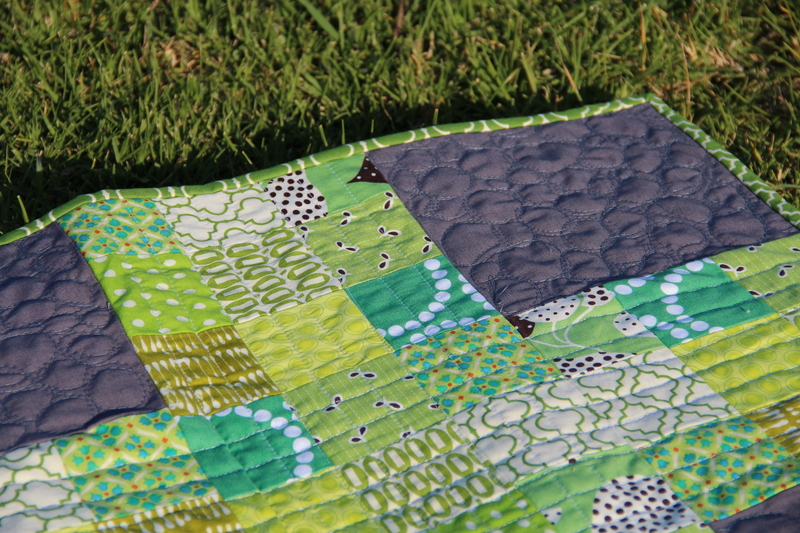 I have been wanting to make this quilt from prolific quilter Elizabeth Hartman’s blog, so I decided to stick while the iron is hot and load up on green fabric and whip up this quilt. The rainy day was conducive to staying indoors sewing, so I spent the better part of the day doing the cutting and piecing. It was a little tough getting everything to line up perfectly so I did the best I could. Sometimes the quilting can cover up little flaws. 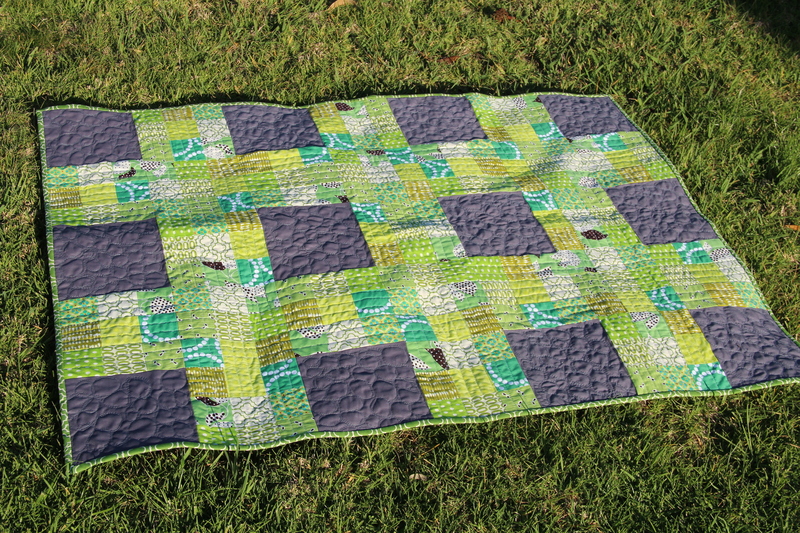 I quilted overlapping straight lines on the green parts, and tried my hand at a free-motion pebble design on the green. 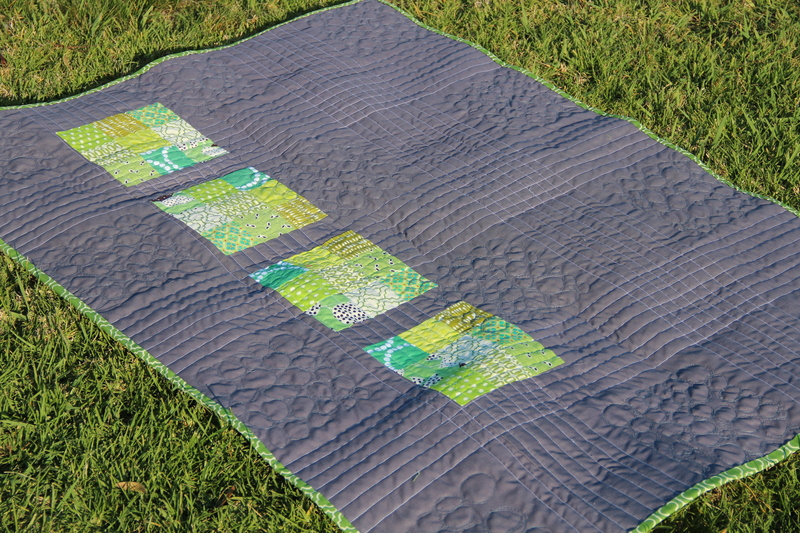 The free motion quilting sure takes a bit of time to get the hang of, and I look forward to trying out different designs down the road. Wow! !How long did it take you do to this?. It is really great! !